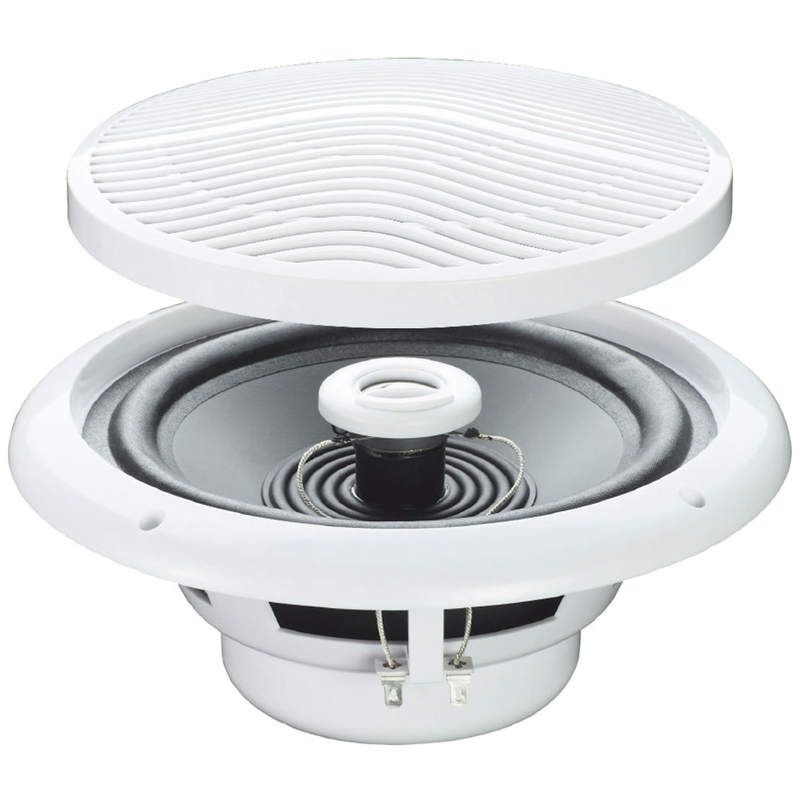 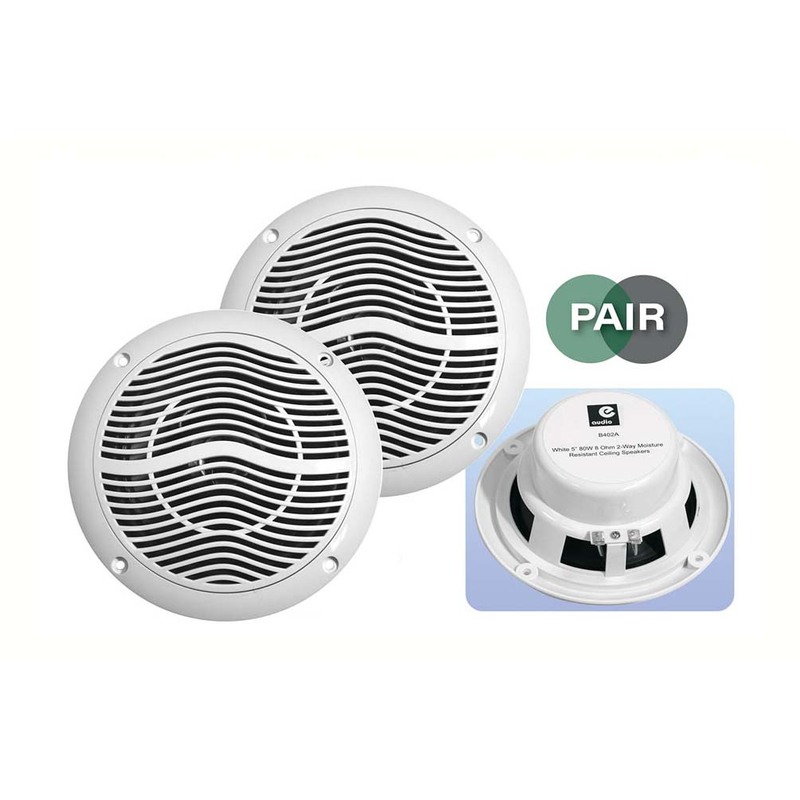 Moisture resistant ceiling speaker with an internal tweeter providing an extended frequency response. Made from molded ABS plastic and polypropylene cone with a cloth edge. 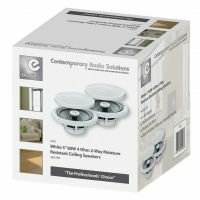 The product is easy to fit and is ideal for both commercial and domestic applications including home cinema, surround sound and multi-room systems. 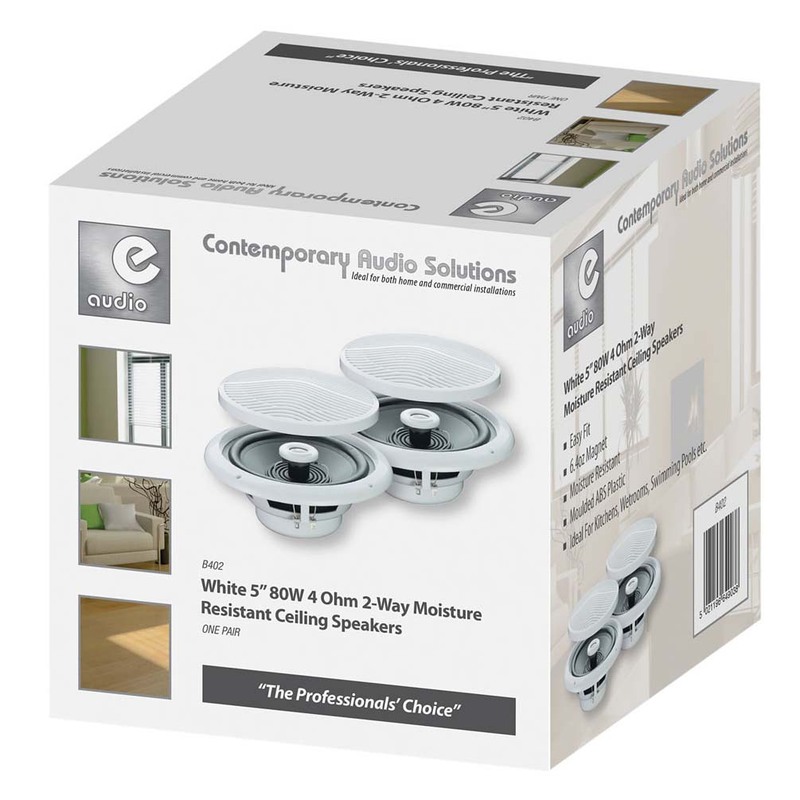 Can be used in kitchens, bathrooms and is compatible with most low impedance amplifiers.